Nancy Reagan, former First Lady of the United States, died this morning at her home in Los Angeles at the age of 94. The cause of death was congestive heart failure. Former 1st lady Nancy Reagan passed away today at 94 of congestive heart failure. Mrs. Reagan was born on July 6, 1921, in New York City. She served as First Lady from 1981 to 1989, where she spotlighted the problem of drug and alcohol abuse among youth. 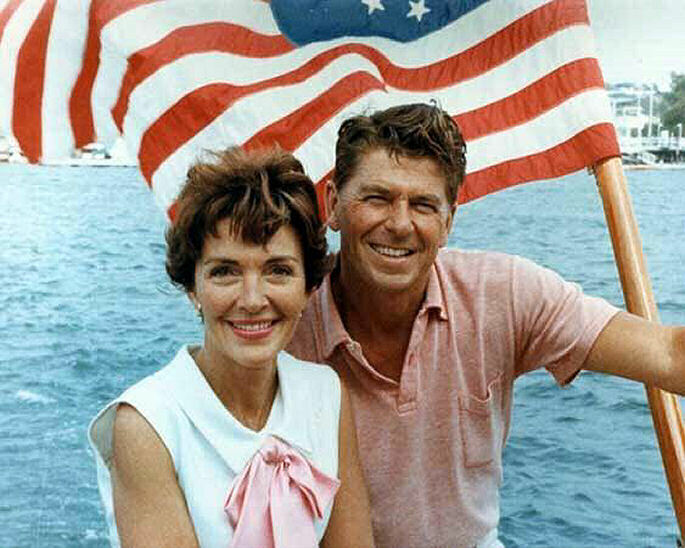 Mrs. Reagan will be buried at the Ronald Reagan Presidential Library in Simi Valley, California, next to her husband, Ronald Wilson Reagan, who died on June 5, 2004. Prior to the funeral service, there will be an opportunity for members of the public to pay their respects at the Library. Details will be announced shortly. In lieu of flowers, Mrs. Reagan requested that contributions be made to the Ronald Reagan Presidential Library and Foundation at www.reaganlibrary.com.